Greetings and welcome to latest instance of the Post [|] — after a few hiccups and delays, we now have for your perusal a third issue! This issue is Volume 3, Number 1. Our third year has brought a number of personnel changes, and our shiny new production team is hard at work preparing our next offering. As ever, this issue of Lakehead University's Peer-Reviewed Interdisciplinary Undergraduate Research Journal strives to be informative, interesting and relevant. The interdisciplinary flavour of our journal this time has swung in the direction of Humanities and Social Sciences for v3i1. We have included four insightful articles written by undergraduate students from Lakehead University. In "Exploring​ Children's​ Gender​ ​Identities and​ ​the​ Disney​ ​Company", Kelsey Raynard has written an exploration of how Disney has shaped and influenced gender identity in children. Raynard shows how this somewhat reflexive ideological process has developed as society's conceptions of the gender construct have changed over time. Austin Burr presents his look at John Lydgate's Danse Macabre in his article entitled "Chaucerian​ ​Roots:​ ​Lydgate's​ ​Danse​ ​Macabre and​ ​English​ ​Nationalism", where Burr connects Lydgate's writing to Chaucer and the society in which the two poets lived and wrote. Bronson Carver examines in "Didactic​ Anti-Semitism​ ​in​ Medieval​ English​ Drama" some of the ideological underpinnings that inform the realm of English Medieval Theatre with respect to both explicit and implicit anti-Semitic content in the dramatic works and the society that produced / consumed them. Finally, Kaitlynn Rookes has challenged the way in which women's bodies have (and therefore how women's consciousness has) been subsumed in oppressive patriarchical ideological constructs. The resulting article, "Blood,​ ​Sweat,​ ​and​ ​Tears:​ ​Menstruation ​and​ ​the​ ​Internalization​ ​of​ ​Power​ ​Structures" outlines several recent strategies that women have employed to resist and overcome restrictive prescriptive norms. Thanks for being interested! We surely ought to thank all the people who submitted articles for consideration in the review process for this and each issue we've published — as well as the one that is now in production. Thanks and many congratulations to our writers: Kaitlynn Rookes, Bronson Carver, Austin Burr, and Kelsey Raynard. Also we'd like to thank to our many reviewers. Many thanks to our outgoing Editor-in-Chief, Katharine Beaulieu for her vision, drive, and service in pursuit of this endeavour. The culture of reserach and sharing the results of our inquiries can only make us a stronger society and student body. 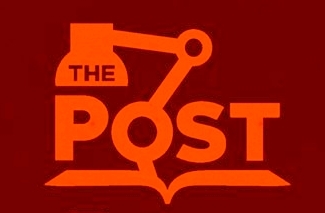 The Post [|] isa great idea and our current production team hopes to continue presenting excellent material by aspiring researchers and writers from Lakehead's undergraduate community. Thanks as well to Justin Michel, from Lakehead University Web Development Services, Moira Davidson, of Lakehead University Chancellor Paterson Library Services, and Jason Zou, also of Lakehead University Chancellor Paterson Library Services. We have to thank the Public Knowledge Project and everyone who has contributed to the Open Journal Systems, which has given all of us this tremendous software resource that publishes this thing that you're reading right now. Thank you as ever to Dr Scott Pound, Eminence Grise and Lakehead University Faculty Liaison, for guidance and input.Thanks to Dr Anthony Puddephat for his efforts as Acting Faculty Liaison. Most of all we'd like to thank you, our reader! Thanks for taking the time to read, and thanks for supporting undergraduate research at LU! If you are a Lakehead University undergraduate student and are looking for an opportunity to be involved in the production of this journal, please email us at thepost@lakeheadu.ca, or just talk to someone who you know is involved. We do live an a world that benefits greatly from social media and the technology of connectivity, and it's true that our online journal is exactly that. Read on. Read on your phone, on your tablet, in Chancellor Paterson at one of the terminals. Print it off. Read it in our Media Lab in the Ryan Building (RB2028). Whenever the lights are on someone is usually home. Be social. Be gregarious. Even if you are an English major. Lots for you to mull over in this issue with other students or the writers of these articles if you track them down. They'd love to discuss their work — and likely your work too. Word of mouth is still where it's at — let's talk about what questions YOU want to answer!